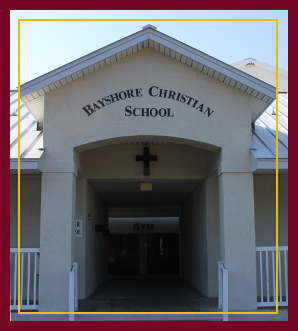 The philosophy of Bayshore Christian School underlies the development and maintenance of the school's entire program. This philosophy encapsulates our vision, mission, and core values. 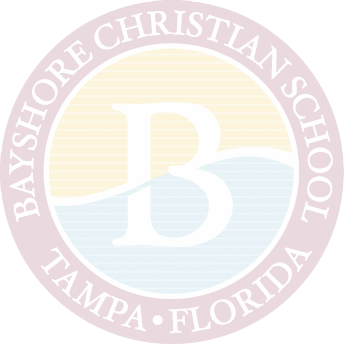 Bayshore, the premier private Christian school in the greater Tampa Bay area, offers a comprehensive college preparatory program and provides exceptional leadership development, academics, athletics, and the arts. Bayshore Christian School opened its doors in August 1971. Our impassioned desire then, and now, is to see students educated with a Christian foundation enabling them to positively impact the community and our world. We began our journey of growth with three seventh grade sections and two sixth-grade classes. We added another grade each year until we had a complete high school. We now serve students from preschool through the 12th grade. Over the years, we have constructed additional facilities on our 10-acre campus. Most recently, we completed the Early Childhood Facility, which now houses eight lower-school classrooms. We continue building upon the solid foundation laid more than 40 years ago. It is not unusual to walk onto our campus and see staff members counseling and praying with students. With the prayers and faithful support of our Bayshore family, we will continue to minister to students, families, and communities for many years to come. Bayshore Christian School is accredited through different organizations that provide rigorous academic standards to which we adhere. Our faculty and staff stay current with educational practices through attending the many conventions and training opportunities provided and required by our accrediting organizations. Faith - Teaching and demonstrating faith in Jesus Christ, our Lord and Savior, and the infallible Word of God (Hebrews 11:1-3). Integrity - Exhibiting moral and ethical strength of character (Titus 2:7-8a). Excellence - Providing and educational program that demands academic excellence and prepares students for success in life (Philippians 1:9-11). Community - Serving with care and compassion for others in the local and global community (1 Peter 3:8). Partnership - Cultivating a partnership between families and school to benefit the development and growth of each student (Proverbs 22:6). Evangelism - Proclaiming the Gospel of Jesus Christ to all the world as faithful disciples (Matthew 28:18-20). As disciples of Jesus Christ, we hold to a higher code of behavior. Please take a few minutes to review our student expectations.